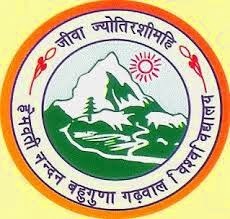 HNB Garhwal University BA Final Year Exam Results 2014| HNBGU:-The HNB Garhwal University or Hemwati Nandan Bahuguna Garhwal University is one of the premier institutions of the Uttarakhand state. It islocated in the Srinagar, Pauri Garhwal District of the Uttarakhand India. It offers various Under-Graduate and Post- Graduate courses to students. And every year many of students are enroll here for their studies. The many of colleges in Uttarakhand are also affiliated by the HNB Garhwal University.